Shimla Kinnaur Spiti Manali Tour Package starts reaching at Chandigarh Airport / Railway Station you will be met, assisted and drive to Shimla. Shimla Kinnaur Spiti Manali package are the very long journey this package are the full of entertainment package.This package are more memorable package for the travel they spend more time for Himachal traditional. The 1st Day of the Shimla Kinnaur Spiti Manali tour package starts from Chandigarh Airport / Railway Station where assisted and drive to Shimla . 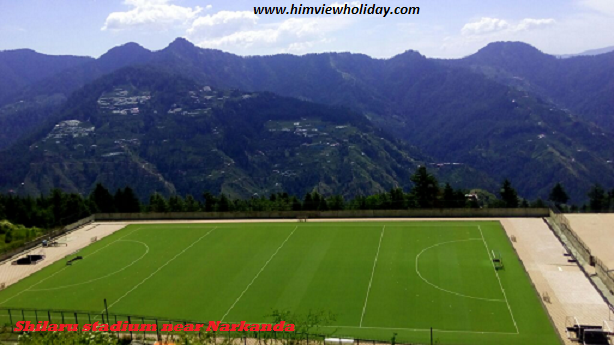 Shimla, the capital of Himachal Pradesh. After being a four hour journey towards Shimla having scenic view all around the road you can have the local sight seen of Shimla. Night Stay at Shimla. After breakfast, drive from Shimla to Sarahan visit KUFRI, India’s one of the best holiday paradise Kufri in Shimla is marvelously tucked on an altitude of 2,622 meter. NARKANDA 2708 m: On the Hindustan Tibet road, Narkanda offers spectacular views of snow ranges. An uphill trek through Deodar woods leads to Hatu Peak (8 Km). Ancient temple of Hatu Mata is alive with skiers. Rampur is located on the banks of the river Satluj and commences its flow from the Mansarovar in Tibet., Big Commercial Centre and famous International Lavi fare which is held in November every year .Take Lunch en-route in Rampur. Arrive Sarahan & check-in to your Hotel. One of the most spiritual and beautiful place which naturally attract the visitor. You can participate in Morning Aarti at Bhimakali Mata Temple. From Sarahan a very glorious view of Shrikhand Mahadev Peak is also seen. After checkout from the Hotel leave to Sangla by the sides of river Satluj and Baspa. At Sangla visit the very famous Kamru village and make a small walk to visit Kamru Fort which has a temple fanatical to Kamaksha Devi. In the evening check in at hotel. Rest of day is free to relax and enjoy the immaculate beauty. Overnight at hotel. After taking breakfast travel to Kalpa which has earned distinction of one of the most beautiful valleys in Himachal. Kalpa is a beautiful growing little town located in the background of Kinner Kailash Mountain range. After reaching check in at hotel. Visit a nearby Roghi village known for traditionally built Kinnauri houses. Overnight at hotel. Kalpa to Nako one can have a very thrilling experience of the road that leads to Nako. The movement you ride on the road you are welcomed by the very natural views with the exciting route from Kalpa to Nako. In the evening time spend the time with the natives and feel the experience of their lifestyles.Stay at Nako. 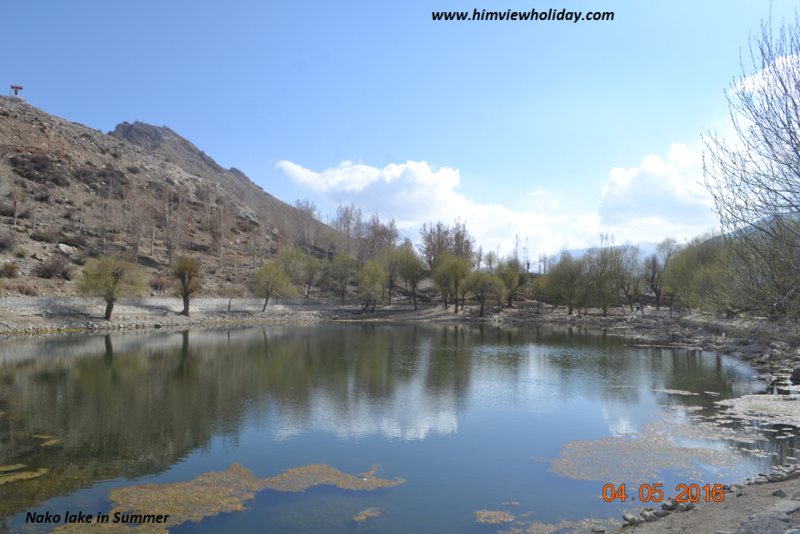 Being visited to the Nako village you will see there Nako lake. Next morning drive to Kaza the very beautiful little town in the midst of Himalayas, being called the Ajanta-Alora of Himachal Pradesh. This little town in this cold desert looks like a heaven for the visitors.Stay at Kaza. Losar is another famous destination for visitors and the stay at Losar before reaching Manali is necessary due to long distance and time constraints. Now on the drive visit the world famous Kie Monastery and the pretty Kibber Village, the highest inhabited village in the world.Overnight Stay at Losar. The last day of the thrilling and of course adventurous tour for visitors. You will reach Manali via Rohtang pass. The most exciting and loving Himalaya tour that will definitely upgrade your all the life experience. Overnight stay at Manali. Travel back to Chandigarh with best memories of Shimla Kinnaur Spiti Manali Tour Package in mind and soul. Our popular tour packages are Kinnaur Tour Package, Shimla Manali Tour Package, Manali Tour Package, Dharamshala Tour Package, Dalhousie Tour package.